Value Vinyls GTX-30 (BGMEM30) is a Chemical Resistant Coated 30 oz. Vinyl designed to withstand long-term exposure to an extensive range of harsh chemical. 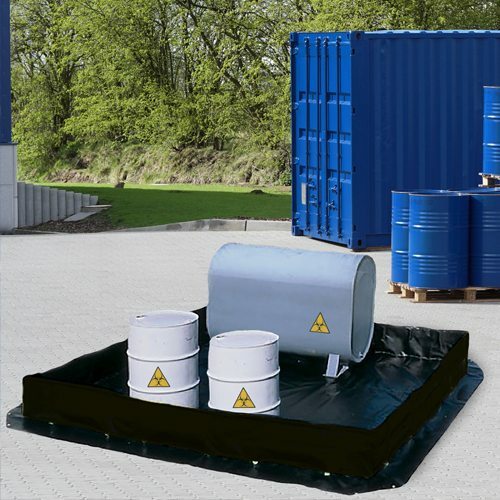 GTX-30 is optimum for landfill, pond liners, storm-water runoff, municipal wastewater ponds, containment, floor coverings, oil storage, and other unique applications. Engineered with superior physical strength, high durability, high welding properties, water-repellent properties, puncture resistant, and with superior dimensional stability. GTX-30 is outfitted with a 7-year limited warranty to stand the test of time in the field.